Thought Leadership – Kent Huffman: Marketing. Branding. Strategy. Tactics. Results. In addition to his “day job” as a strategic and tactical marketing consultant and fractional CMO at DigiMark Partners, Kent Huffman also is very active as a leader and innovator in the marketing profession in a variety of other ways. Over the past 10 years, he has authored one book and co-authored another one, created a new digital marketing magazine, written hundreds of articles and blog posts for other publications, and launched his own blog. Kent also has been featured and quoted in numerous videos, books, magazines, and websites. In addition, he has served on several professional boards. In early 2018, Kent was a featured guest on the “CMO Go Show.” He was interviewed by Eve Mayer, the Chief Marketing Officer at Splash Media, the innovative digital marketing firm that produces the show. In addition to a number of questions about his marketing expertise and career as a CMO, Eve grilled Kent about the time he was arrested for cattle rustling, the time he was attacked by a great white shark in the Caribbean, and—speaking of sharks—the time he was involved in a high-level marketing strategy meeting with Mark Cuban of Shark Tank fame and Emmitt Smith from the Dallas Cowboys. In late 2012, Kent authored the book 8 Mandates for Social Media Marketing Success: Insights and Success Stories from 154 of the World’s Most Innovative Marketing Practitioners, Authors, and Professors for C-Suite Press. It has since achieved a five-star rating on Amazon.com, has garnered a number of independent reviews, and has been spotlighted in several professional magazines. This book features 28 success stories about a variety of iconic B2C and B2B brands, including Gatorade, Motorola, IBM, Kimberly-Clark, AT&T, Frontier Airlines, Cisco, Adobe, and Wounded Warrior Project. It has already been adopted for use in undergraduate and graduate marketing classes by more than 20 professors at some of America’s leading universities, including Stanford, Duke, NYU, Rutgers, UCLA, Syracuse, and TCU, among others. 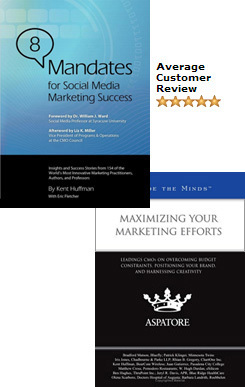 In 2008, the CMOs from the Minnesota Twins, Pomodoro Restaurants, Bluefly, and several other companies collaborated with Kent to write the book Maximizing Your Marketing Efforts: Leading CMOs on Overcoming Budget Constraints, Positioning Your Brand, and Harnessing Creativity for Thomson Reuters/Aspatore Books. It features advice related to overcoming budget constraints, positioning brands, and harnessing creativity. Kent also has been quoted in several new books on marketing and leadership, including Running the Gauntlet: Essential Business Lessons to Lead, Drive Change, and Grow Profits by former Kodak CMO Jeffrey Hayzlett, The Social Employee: How Great Companies Make Social Media Work by employee branding experts Cheryl and Mark Burgess, and The Growth Secret: Growth Hacking and Digital Marketing at Its Best by Roberto Liccardo. In addition, Kent recently wrote the foreword for a new e-book from Virtual Logistics entitled A Thought Leadership Guide to Big Data. 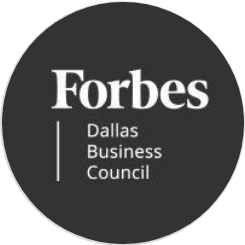 In late 2018, Kent was recruited to join the Forbes Dallas Business Council and will become a regular columnist on Forbes.com in early 2019. He will be writing articles about a wide variety of marketing and growth-related opportunities and challenges facing B2B and B2C companies—and their marketing leaders—all across the nation. Kent regularly writes about a variety of marketing-related topics—including marketing, branding, profitable growth, demand generation, public relations, customer experience, social media, change management, and leadership—and has published a number of posts on his own blog. In late 2016, Kent was recruited to join Southern New Hampshire University‘s (SNHU’s) Advisory Board for its Master of Science in Management degree program. SNHU is a private, nonprofit, accredited institution with more than 3,000 on-campus students and more than 60,000 online students, making it one of the fastest-growing universities in the country. Founded in 1932, SNHU has been relentlessly reinventing higher education ever since and has gained national recognition for its dedication to helping students transform their lives and the lives of those around them. In 2014, Kent became a member of the Advisory Board for Hootsuite Academy, a new offering from Hootsuite, the world’s most trusted social media management platform. It is the most authoritative and comprehensive suite of social media education offerings available today. Developed by industry leaders and the pioneers at Hootsuite, with support from a team of external advisors, Hootsuite Academy’s programs feature up-to-date, balanced, and relevant resources that reflect real-world industry needs. It helps marketers develop marketable social media skills they can apply to their own businesses, or in their roles as social media professionals. From 2010 until the present, Kent also has served as a member of the CMO Council’s Customer Experience Board. This board, led by the Chief Marketing Officer Council and SAP, is focused on addressing the critical need for organizations to optimize, connect, and fully monetize the customer experience. It drives best practices and thought leadership in integrated, contextual, and profitable customer experiences. Previously, Kent was a member of the Executive Advisory Board for Frost & Sullivan, a growth acceleration consultancy, and he served as a marketing and branding thought leader at several Frost & Sullivan events.